We are passionate about Gin and creating new and complex botanical flavours. We are also passionate about the North Devon coast and our locally sourced ingredients. We're lucky to have such a beautiful environment and exceptional local talented individuals who all contribute to our Gin. It's all about the care and commitment we take to produce the best product possible, every step of the way. Our roots have always been in North Devon, Skateboarding and Surfing, generally getting out in the Atlantic ocean whenever possible. We're two individuals determined to create craft Gin's that we hope you will love as much as we do. This is the start of the journey and we're also planning other spirits further down the line... heard of the 'rum' renaissance anyone? #1 Hibiscus - made with Hibiscus flowers, liquorice root (no aniseed flavour just sweetness), and citrus fruits. Soft sweetness and long flavour from the subtle balance of hibiscus and liquorice root, leaving a hint of spice and juniper on the finish. A pleasant hibiscus and citrus nose. 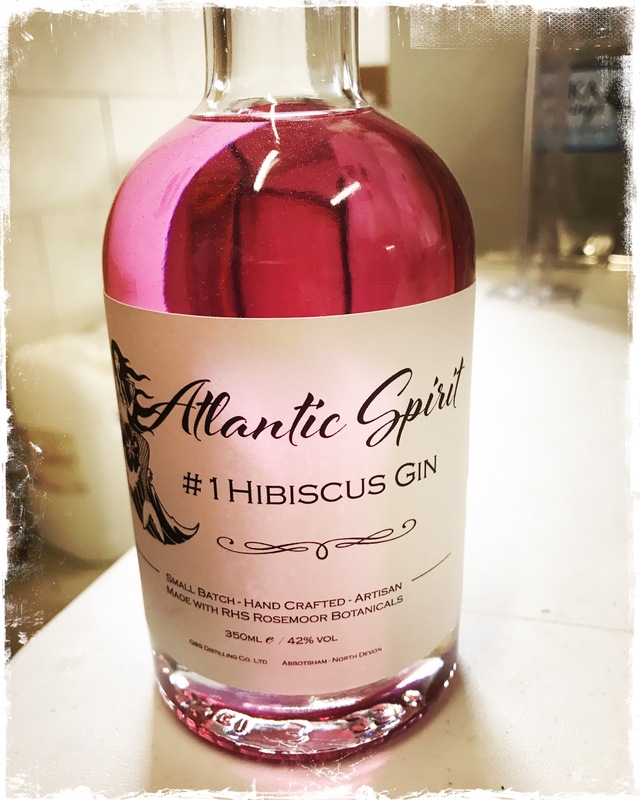 #1 Hibiscus Pink - it is the same base gin as the Hibiscus and as shown in the image above, we have created a naturally coloured pink gin using organic Hibiscus flowers. We don't use any artificial colouring's and therefore this one needs to be stored out of direct sunlight to preserve the beautiful Hibiscus Pink colour. #2 Lemon & Thyme - no lemons were harmed in the making of this as we use lemon balm to create the flavour, along with 2 selected local thymes, this is a beautiful gin. Lemon sherbet all the way with a citrus fruit and juniper finish. Super smooth with a fresh lemon citrus scent on the nose. Two people with the same dream - to create a better Gin than the other. We've been competing against each other to produce the best Gin there is... you get to enjoy the result.